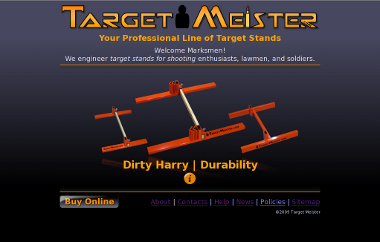 The Target Meister's image (homepage and logo) has been looking dismal for quite sometime. Somebody needed to shoot this beast in the head and put it out of it's misery about eight months ago. Well..., nobody did any shooting; however, I did pull out a keyboard and a mouse and get this pig looking halfway decent. Does the new design make you laugh, cry, or furious? Does it make you feel special inside? Express your emotions.